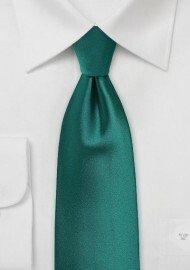 Perfect for the later part of the season is this "everglade" colored tie by Puccini. It is a deep green color that has just a hint of teal and turquoise. Other suitable names are pine green or oasis-green. 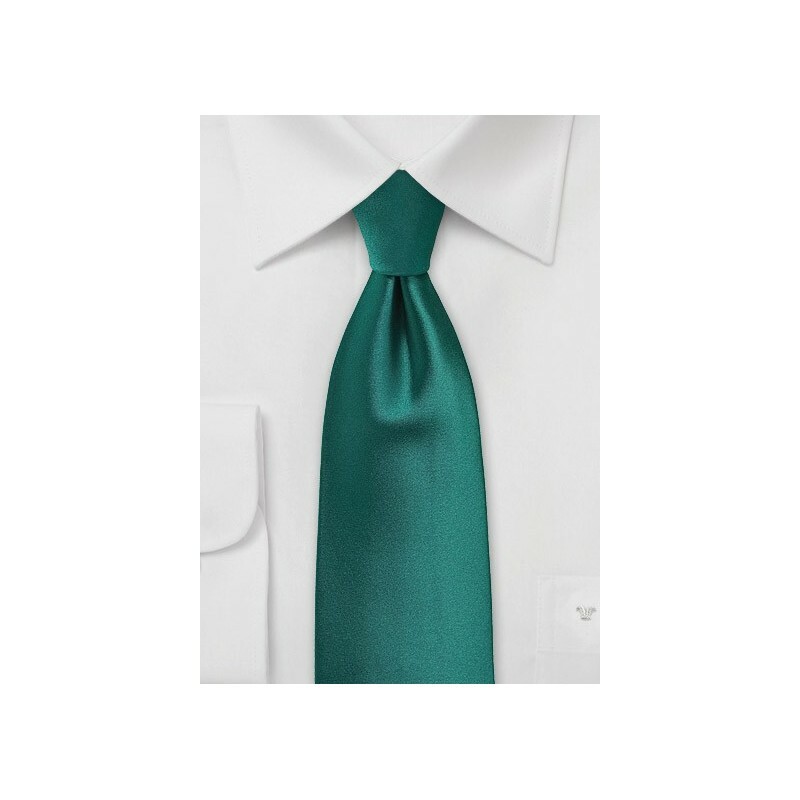 Whatever the name may be, one thing is for sure: This tie will be a showstopper when paired with a dark navy or charcoal gray wool suit. Made in XL length for any man above 6 foot 3 inches.